On the sixth meeting I went through Daniel’s presentation for his Finnish course. It was funny to notice how little I know about Finnish grammar rules. It was at some points impossible to explain why we say something in certain way. “Because it just sounds better” or “it’s easier to pronounce this way” where my most used sentences when asked why some words or sentences are structured that way. I think Daniel knows more about the “why” than I do. After going through the Finnish homework we started to talk about wildlife in Germany and Finland. We do have a lot of same animals but the ratio of them is so different. We have quite a lot of wolves in Finland but in Germany they have just started migrating back. In Finland it’s common to hear about cars crashing with a moose. But in Germany you are more likely to crash to a deer or a herd of wild boars . 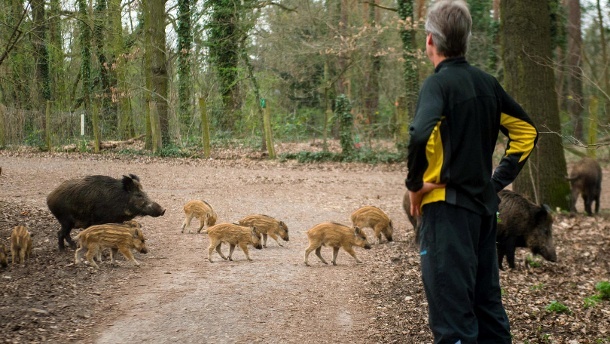 Daniel told me that there’s actually a herd of wild boar in the city of Berlin and they cause nuisance in one of the parks.